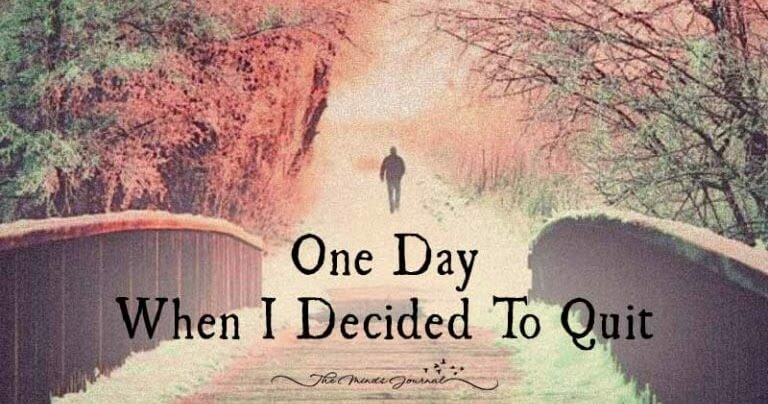 It was one seemingly ordinary day when I decided to QUIT... All of a sudden I made a decision to quit my job, my relationship and finally my spirituality. I just wanted to quit my life. But before that, I went to the wood to have one last talk with God. “Then in the fifth year a tiny sprout emerged from the earth. Compared to the fern it was seemingly small and insignificant... But just 6 months later the bamboo rose to over 100 feet tall. “Don't compare yourself to others.” He added. ”The bamboo had a different Purpose than the fern. Yet they both make the forest beautiful.” God said to me: “Your time will come”.